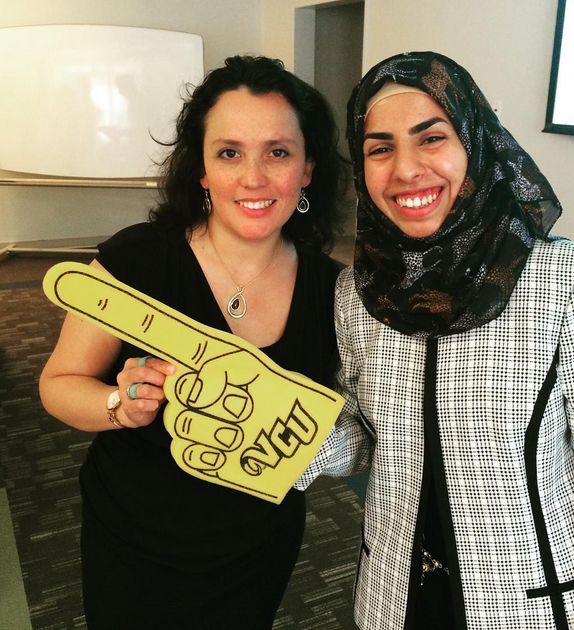 Last Wednesday was the final nonprofit presentations for the VCU Social Media Institute, which combines undergraduate and graduate students from Virginia Commonwealth University with college students from Iraq in the Iraqi Young Leaders Exchange Program for a one-of-a-kind social media project. ConnectVA had the honor of judging the presentations and selecting the winners, along with Alix Bryan of CBS6 and Nathan Hughes, founding member of the Social Media Club Richmond and Executive Vice President & CFO at Bandazian & Hughes. 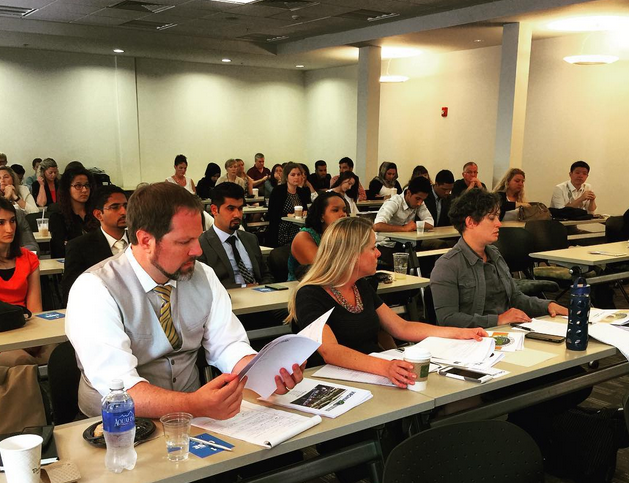 We saw many great social media strategies – great campaigns with smart hashtags, video projects, new media being incorporated and ways to help the nonprofits get organized when implementing! Last week we critiqued the projects and gave an overview of recommendations for social media strategy; we also created this handy ConnectVA Guide to Social Media Best Practices 2015 for the students (and YOU). RVA Music School and Outreach is a BRAND NEW nonprofit; when the students started the project with them, all the owner had was a personal Facebook page for promotional purposes! The students changed the name from Bryan Park Music Studio, defined their target audience, created a website (that’s also responsively designed! ), created clever video campaigns to put on YouTube, and set up Instagram and Facebook accounts (that already has 150 followers!). The students went even further, creating content ideas for the budding nonprofit, guidelines for posting, hashtag campaigns, tracking, evaluation and measurement guidelines, and even a few fundraising ideas! We were so impressed as judges by the amount they were able to accomplish in 4 weeks! The students truly gave RVA Music School and Outreach a solid foundation to build their online and social media presence! Sabot at Stoney Point is a nonprofit school in Richmond, Virginia who serves students from preschool to 8th grade and has an Italian-based teaching curriculum – Reggio Emilia. The nonprofit already had a fairly solid following on Facebook and the teachers write regular blog posts! The VCU students assisting Sabot at Stoney Point did a fantastic job of providing the nonprofit with a robust Social Media Strategy and campaign ideas! We were really impressed with how they distinctly defined the audience they were trying to reach and chose specific platforms to prioritize, based on those findings! One of the most exciting parts of the Social Media Strategy was the content schedule the students created – with ideas of interesting posts and questions for the coordinator to post each day of the week! Look out for the campaign #SabotStories on Instagram and Twitter! The students also gave guides for the nonprofit as they redesign their new website, to make it responsive and implement best practices! GRASP is a nonprofit that aids and assists high school seniors with funding for post-secondary education. 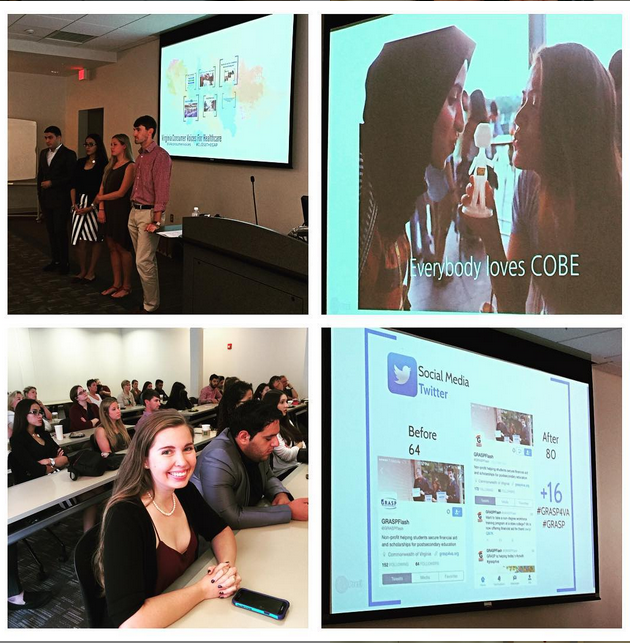 By working with the students from VCU, they hoped to accomplish three main priorities: 1) increase engagement with social media followers 2) increase followers among high school seniors 3) educate the organization internally on the importance of social media. WOW! The students did an excellent job of putting together a solid plan for GRASP, including tips for their Facebook page, where they’ve helped put together “How has GRASP helped you?” video campaigns featuring former scholarship recipients, an internal Facebook group open only to advisors around the state to work on coordination, a Twitter account, Instagram, and YouTube account. Most exciting was seeing the WordPress blog site that the students created for the nonprofit, and an editorial calendar using this awesome new tool called CoSchedule! Taking the strategy a step further, the students provided guidance on tracking, measuring, analytics, and fundraising campaigns. They put together 7 videos and 9 infographics and even a training for internal staff on ways to use social media and best practices. The CEO, Paula Buckley, and Board Chair were in attendance at the final presentation and could not have been more thrilled! They commented that the presentation was submitted to the entire board and they will begin implementation immediately! All in all, the students were incredibly impressive – they were able to accomplish so much in 4 weeks; it was truly unreal! Thanks to VCU Social Media Institute for letting us be a part of this fantastic program and the commitment that you have to our nonprofit community!